One of the overall aims of the project Urb.Energy is the application of integrated urban development concepts in six target areas. This covers the combination of energy efficient housing refurbishment with the renewal of the energy supply infrastructure, the revaluation of the residential environment, the improvement of the social and economic infrastructure and the participation of citizens. As a first step of the concept development, the past months of the project work was dedicated to the analysis of the potentials and constraints of the target areas and to the assessment of the building stock and the supply infrastructure. 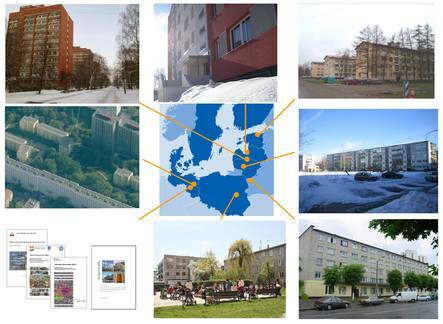 Additionally, the experiences with energy efficient upgrading of neighbourhoods in the framework of integrated development concepts were documented in two case studies.